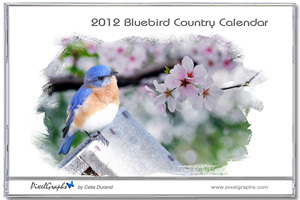 The new 2012 Bluebird Country calendar is available now. 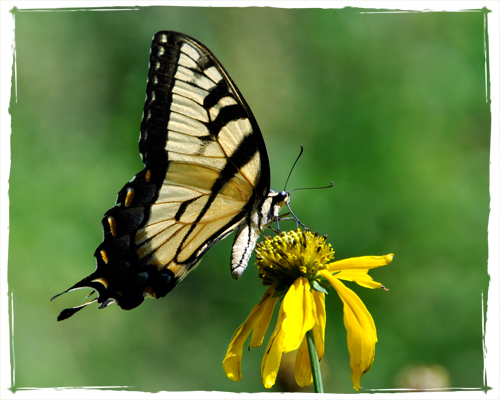 We are also offering two new themes for 2012: Orchid Garden and The Hills of Helen. And very soon now, we will have the new 2012 Flower Portrait calendar. Get ready... PixelGraphs are arriving to the West Coast next month! 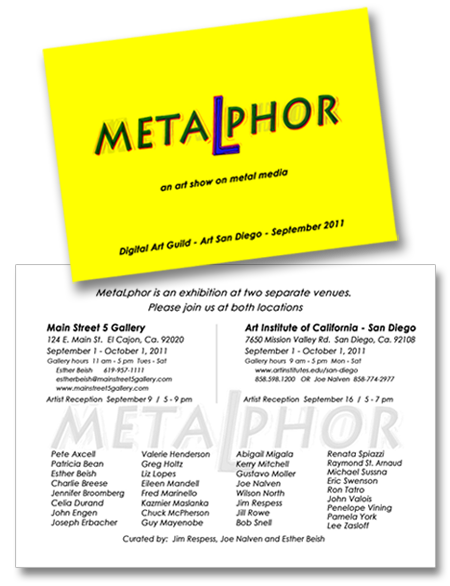 Two of my photomontages will be in display at the MetaLphor show in San Diego, CA. The show is organized by the Digital Art Guild and will run from September 1st to October 1st at two separate venues: at the Art Institute of California - San Diego in Mission Valley, San Diego and at Main Street 5 Gallery in El Cajon, California. 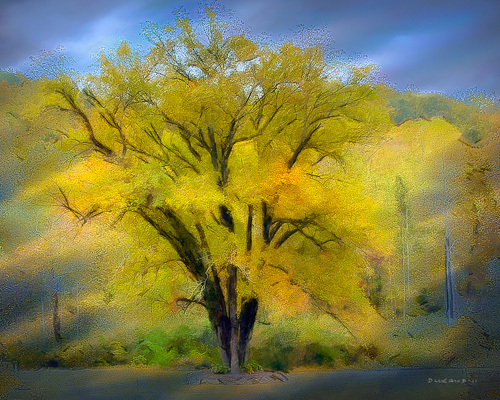 What is different about this show is that all the works will be printed on metal or a metal substrate. In my case, I went with Magna Chrome, a company which infuses the dyes directly into specially coated metal sheets. The end result is a luminous image that can be displayed without glass and has a scratch-resistant surface. A perfect fit for “Winter is Coming”. This afternoon we visited the Chattahoochee Nature Center. The purpose was to see the two bald eagles kept there because they have been injured and cannot be returned to the wild. They were perched on a shaded platform, probably because of the heat, and we couldn't get a good view of them. We'll try again in the fall. 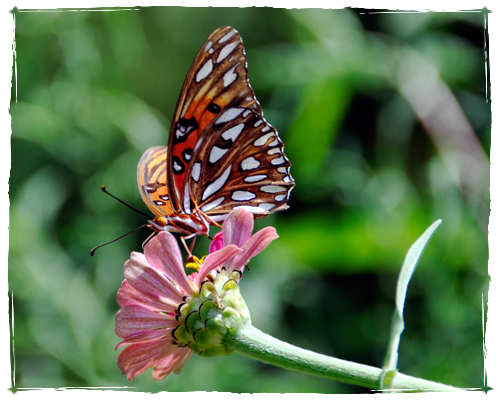 As Nature's way to compensate us for this, there were butterflies everywhere. These are just two of them. And also a lot of other insects such as wasps and bumble bees. 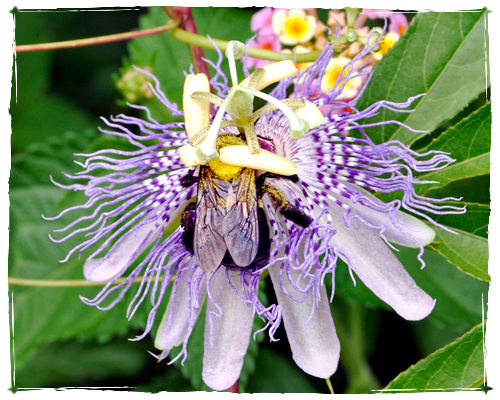 Can you see the bumble bee on this passion flower?